While you’re reading this I’ll be down at the San Francisco Writers Conference, which is sold out again this year. Along with literary agent and publishing consultant Peter Beren, I’ll be giving a session on the challenges of publishing illustrated books. difficulty of getting the finances to work to your advantage. But there are a lot of different kinds of illustrated books intended for different markets, and we’re going to explore some of the possibilities that put the leverage back into the self-publisher’s hands. This subject might seem a bit odd to you, considering this is a writers conference. To me it signals how the writing and publishing functions of the book business keep merging into one another. 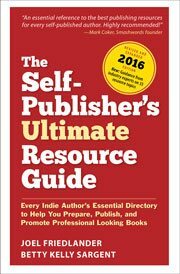 Authors today want to look at their book’s potential for self-publishing, and why not? Entrepreneurial authors stand to do very well financially from these books if they have a way to market and sell them. And the author retains complete control of the project. With illustrated books like those for a gallery or an artist, this can be a critical part of getting the work into print. I’ll post the graphics used in the presentation as an addition to this blog post tomorrow. Click this link to view the slides, or right-click and choose “Save as . . .” so save the PDF to your computer. Do you have illustrated books you want to publish? I have a steampunk/fairytale retelling of a much older book that I am currently working on. (Full-page, full-colour illustrations at the start of every chapter, plus incidental illustrations throughout.) I’ve tried to be fully aware of the need for the story to stand on its own without illustrations, as I didn’t see any way that they would be able to work effectively at a decent price point. Good article, thank you! Ravven, as I’ve said here before, there isn’t yet a digital printing option for books like yours. You can get them done, but not at a price that you can discount for retail sales. But it’s going to happen sooner or later. I am looking into adding photos to my books. It doesn’t really qualify as illustrated, but the book becomes more engaging with a photo either at the beginning of each chapter or scattered throughout. The writer Sebald did that in his books (just black and white, nothing fancy, but filled with verisimilitude) and they are extremely engaging. Cecilia, as long as you stick with black and white photos you can add them anywhere in your book without adding any cost to the printing. Some artists are writers, too. We want to publish a book using the material from our art blog at http://blog.RetroCollage.com/. It consists of artwork, commentary, and inspirational essays. We have plenty of material for several volumes, and are waiting for a cost-effective opportunity to capitalize on this body of work. I look forward to learning what you have to say about the topic. Beautiful collages, Sharon. Digital color for print on demand isn’t quite there yet, but I’ve seen some good looking color books from CreateSpace recently on uncoated paper that had surprisingly good color.